April Owens has been designing and building sustainable gardens for the past fifteen years. She has designed hundreds of landscapes from small residential to large projects for government and nonprofit organizaions. April holds a Certificate in Landscape Architecture from UC Berkeley Extension and a MBA in Sustainable Enterprise from Dominican University. She prides herself on what some say is her obsession with the conservation of biodiversity in California via the use of California plants. April spends her time away from HCP out in nature hiking and backpacking. She believes Mother nature is the best designer and hopes to create landscapes that mimic her work. She admits to not pay much attention to her private garden but loves its wildness. 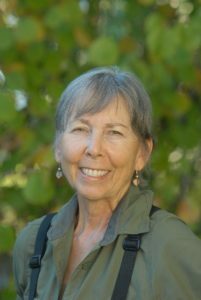 Nancy Bauer, a wildlife habitat consultant, is the author of The California Wildlife Habitat Garden: How to Attract Bees, Butterflies, Birds and Other Animals (UC Press, 2012). Nancy oversees the habitat integrity of each project site throughout California. She also oversees the maintenance and installation of our Sebastopol Corridor Project gardens and volunteers her time to make sure they are successful. Nancy is an experienced gardener who helped create the Habitat for the Hungry Garden in Santa Rosa as well as a thriving personal habitat garden in Sebastopol. 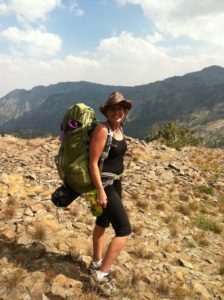 She is also an avid hiker and California lover. Her favorite hiking places are Mt. Shasta and Pt. Reyes although she's traveled the world too.